It was pretty busy at work today. I finally got the smell of grease off me…my feet hurt. Hope everyone is having a great week! I promise that will post something more interesting updates about my day at work! I can’t exactly talk about my day…but it was busy. We had a few technical difficulties. Our customers were so amazing. I met some pretty cool people today. I’d better get to bed soon. I have to work almost a full day tomorrow. 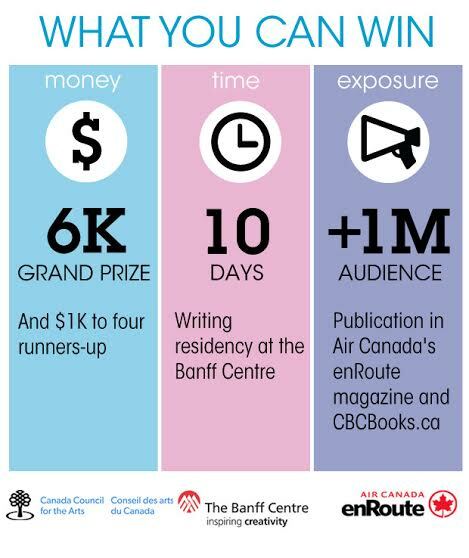 Deadline is June 1st so get writing! Hey, I know I haven’t blogged in a while. I’ve been busy getting into my new job. I managed to do a lot of writing the other day, and early this morning…just finished up typing an edited version of a story I wrote in high school. I can’t believe it’s 1 in the morning. I really need to stop staying up so late…but I also need to stop late night snacking. Anyway, I’ll be posting that story at some point…probably in sections. I just want to get more written out before I do so. As for my actual novel, it’s going great. We are moving along smoothly. It’s been such a fun ride so far. I’m really excited for what’s about to happen (Don’t worry I don’t give spoilers). I apologize for not blogging in so long. It’s been a little weird balancing work and everything. I’ve only had 4 shifts so I’m still getting the hang of things. I hope to be a pro real soon. I don’t like bugging my co-workers with 20 questions every other minute. They’ve got their own stuff to do and they’re pretty busy as it is. I seem to be fitting in nicely though. It’s a great place to work. I have no complaints. Gotta make money to pay the bills. Growing up is weird guys…but thankfully it doesn’t happen over night. I still enjoy having my folks buy me stuff. Thanks for buying my shoes for work mom. That was really nice of you. Love you…and stuff. Anyway I should sleep. I have another appointment tomorrow and I realized that I seriously need to go to a library and find some books. I have some research to do. To really learn to love. Life Update: I Finally Got a Job! Boy, are my folks happy…sorry guys, no freebies. Yep it’s that time again! Another update. I forced my pencil to that paper and I wrote stuff! This pleases me. This pleases me very much. I know it’s a little late but I was too busy playing “Anakin’s Betrayal” on my keyboard on May the 4th. Alright enough nerding out. So I finally got back to working on my novel and I added a new chapter. I’m still working on it but so far I’m really loving the movement of my characters and the way the images show what isn’t being said between them. Their actions do all of the work here and it’s fantastic. I’ve been working hard to write a scene with minimum dialogue. Dialogue is my strong point so this is like…just a huge accomplishment for me as a writer. Garsh it’s just so purty! I know I sound really lively at 9 in the morning but I had a pretty sugary breakfast. If you didn’t read my post about eating cupcakes at midnight then you may not know this…but I get hyper really fast and when I do I just go on and on and on and on…kind of like a 5 year old at a birthday party. Same thing. Anyway, here is my tip for those who have also struggled (or are still struggling) with writing more descriptive scenes, read a passage from a novel you like that has a lot of description. Then pick out what it is you like (you can do this mentally or actually take notes. Whichever works best for you), and what it is you don’t like. If you do this for several different passages (it’s better to use more than one novel and also different authors), then you get a better idea of how it is you would want to write your descriptive passages. Now remember, without practice you can’t get better. If You’re Looking to Try a New Book or Author…. I found another interview with Toni Morrison the other day but I didn’t save the link. My class read her novel Beloved and I’ve got to say it was beautifully written. Just as the novel is beautiful so is its author. If you hear this woman speak, and how she see’s different things in life, such as family….she’s someone worth listening to. Definitely worth reading as well. If I have time today I’ll try to find that interview. I think it was on Goodreads, if anyone is interested.